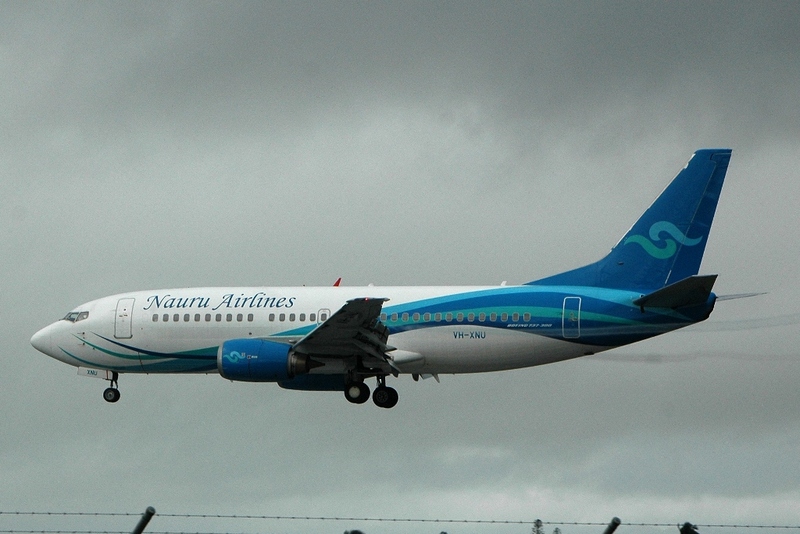 On Saturday 31 March, Nauru Airlines Boeing B737-300 VH-XNU was spotted arriving into Mackay Airport, touching down direct from Brisbane as RON800. After around an hour on the ground, VH-XNU was then noted departing Mackay for Cairns as RON901. It is believed that VH-XNU transported players and support staff of the local Mackay Cutters Queensland Rugby League (QRL) Team to Cairns where they were to play the Cairns-based Northern Pride QRL Team in the latest round of the Intrust Super Cup. Following the game on Saturday night, information suggests that the players and support staff will return to Mackay with VH-XNU expected to make a midnight arrival back into Mackay Airport late on Saturday 31 March / early on Sunday 1 April. 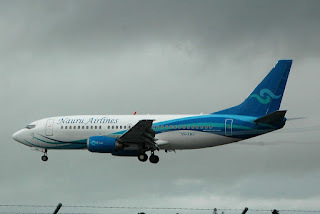 As we've mentioned in the past, Nauru Airlines (the trading name of Nauru Air Corporation) and formerly known as 'Our Airline' and 'Air Nauru', is the national airline of the Republic of Nauru. 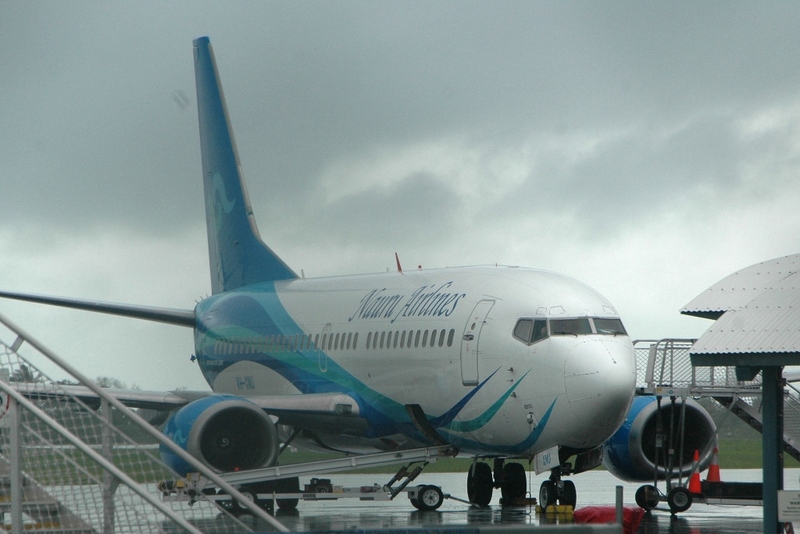 It currently operates scheduled international services from Nauru to other Pacific Islands and Australia. 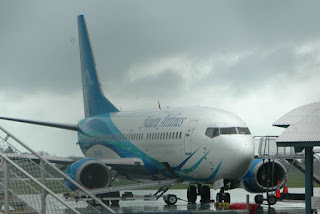 Nauru Airlines also operates various charter flights to locations in Australia, Asia, New Zealand, South and Central Pacific. 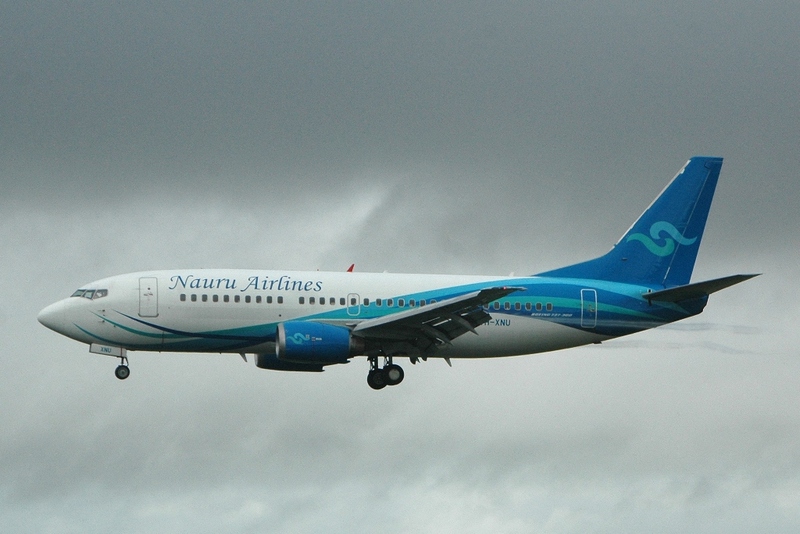 Presently, Nauru Airlines operates a fleet of four Boeing 737-300 aircraft, each configured in a 130-seat / 2-class layout that service Brisbane (Australia), Majuro (Marshall Islands), Nadi (Fiji), Nauru (Nauru) and Tarawa (Kiribati). A lone Boeing 737-300F is also operated. 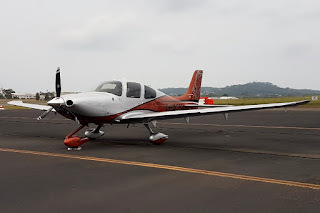 Sincere thanks to local plane spotters 'JM' and 'TM' for taking the time to capture and send through these great photos of a great visitor to the Sugar City! 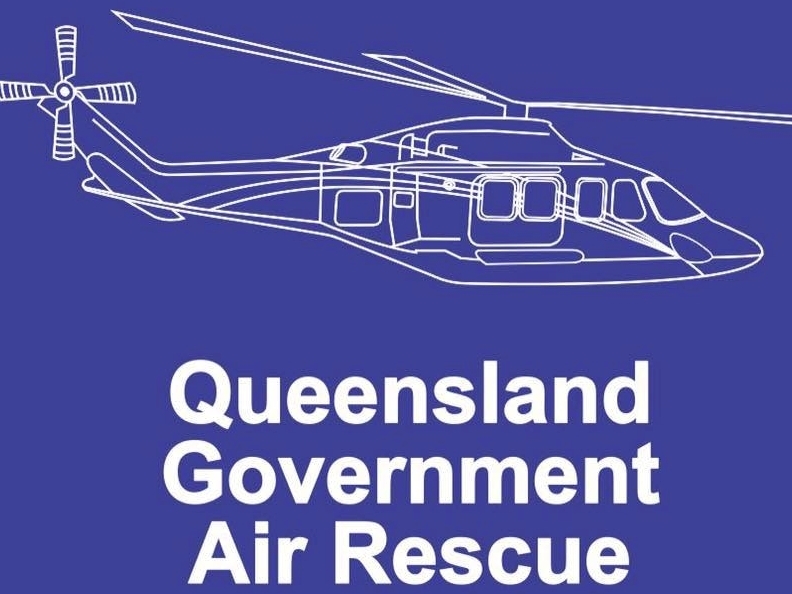 On Saturday 31 March, Queensland Government (QGAir) Rescue (State of Queensland) Agusta AW139 helicopter VH-ESH was noted ferrying South from Townsville to Archerfield via Mackay and Gladstone Airports. 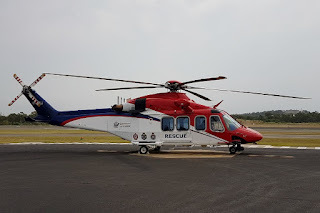 VH-ESH was heard using the radio callsign of "Rescue 500" - the usual callsign of the Archerfield-based QGAir Rescue helicopter that flys missions around the South-East corner of the state. 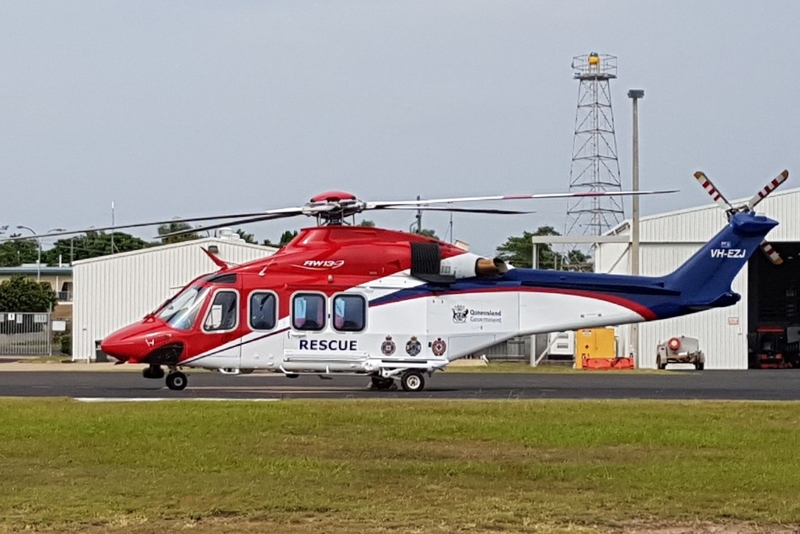 As posted below, fellow QGAir Agusta AW139 VH-EZJ flew North to Townsville at the start of last week as "Rescue 500" and was noted assisting with the rescue and recovery efforts after Tropical Cyclone Nora made landfall. I presume the helicopter 'swap' was to allow VH-ESH to now enter the maintenance hangar. 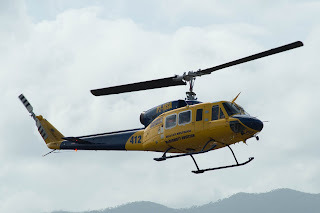 Former Heli-Aust Whitsundays (Mackay Helicopters) Bell 222 VH-TOR Departs Australia for good with PNG Rego P2-HOT! It appears that a former Central Queensland-based helicopter has finally departed Australia for good following a period of storage at the Whitsunday Airport at Shute Harbour. 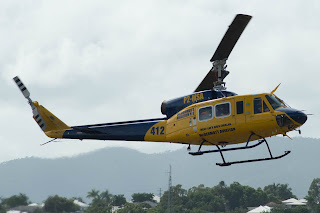 Former Heli-Aust Whitsundays (Mackay Helicopters) Bell 222 helicopter VH-TOR was recently noted as being cancelled from the Australian aircraft register and being placed on the Papua New Guinea aircraft register. It appears to have ferried out of the Whitsundays via Cairns and and points North sometime during March. 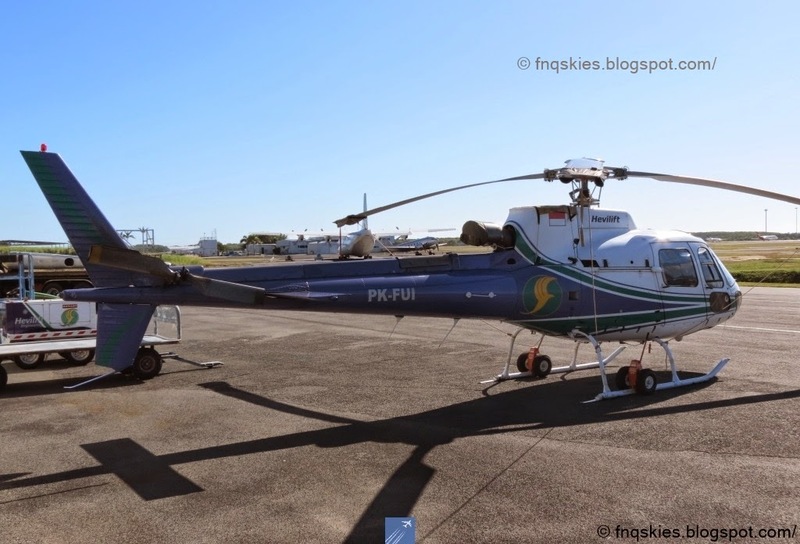 The Bell 222 has been placed on the Papua New Guinea aircraft register as P2-HOT and looks to be registered to Manolos Aviation of New Rabaul in PNG. Fellow former Heli-Aust Whitsundays (Mackay Helicopters) Bell 430 helicopter VH-HIA appears - at this stage - to be remaining in storage at the Whitsunday Airport at Shute Harbour. It has been reported that it too will eventually head to Papua New Guinea so it will interesting to see if it heads to the same operator! A 'new' Qantas Airways aircraft has made its first visit to Hamilton Island Airport after recently being re-registered and re-entering service with the airline. On Friday 30 March, Qantas Boeing B737-800 VH-VZH was noted operating into Hamilton Island Airport on the scheduled QFA870/871 service from and back to Melbourne (Tullamarine). 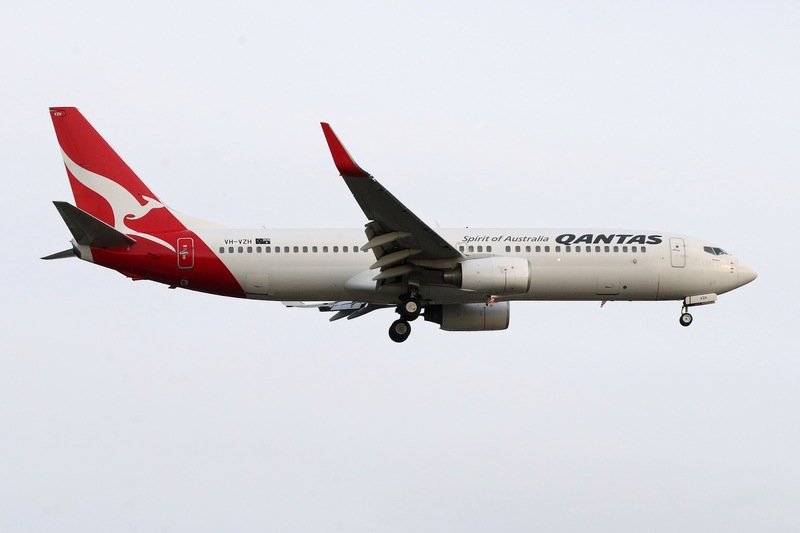 The B737-800 was originally ordered by Qantas back in 2009 and was registered VH-VZH in September of that year. It was accepted by Qantas in early October 2009 and at that time too, VH-VZH also carried the New Zealand flag and 'ZQC' on the nosewheel doors. Soon after its arrival into Melbourne, the aircraft entered the New Zealand aircraft register as ZK-ZQC during the latter part of October 2009 with Jetconnect Ltd in Auckland, New Zealand as the registered operator. ZK-ZQC was named 'Katherine Mansfield' and then operated its first Qantas Jetconnect revenue service from Melbourne (Tullamarine) to Auckland as QFA25 on Thursday 22 October 2009. ZK-ZQC operated its final service for Qantas Jetconnect on Thursday 8 March when it arrived into Brisbane from Auckland as QFA124. The aircraft was subsequently cancelled from the New Zealand aircraft register and was then re-registered as VH-VZH, again with Qantas as the registered operator. 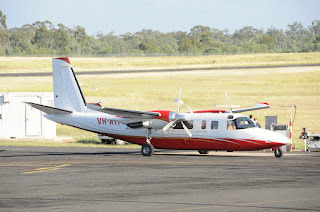 VH-VZH entered service with Qantas on Friday 23 March. VH-VZH is pictured above arriving into Adelaide on its first day of operations. 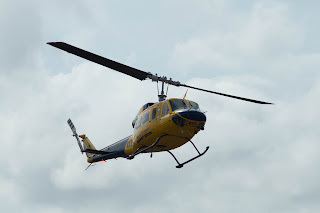 Nice Helicopters Ferry Through CQ Airports on Good Friday - UPDATED! It was a ‘Good Friday’ for plane spotters with at least four nice helicopters being noted passing through Central Queensland Airports on Friday 30 March. Perhaps the nicest was Aerospatiale 350B3 Ecureuil Squirrel Helicopter PK-FUI which arrived into Rockhampton Airport from Cairns via Townsville. As the photo below shows, it once wore the stunning colours and titles of Hevilift. 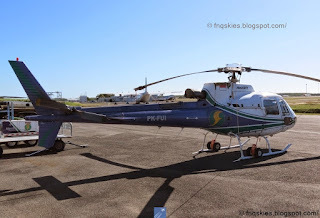 It appears as though PK-FUI has stayed at Rockhampton Airport, although I am unsure as to whether it still wears this attractive livery. UPDATE! 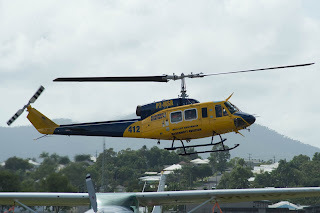 PK-FUI looked to depart South from Rockhampton Airport early on Saturday 31 March. There are reports that it has a revised livery. FURTHER UPDATE! With sincere thanks to local plane spotter Leroy, we can share this great photo as PK-FUI passed through Townsville Airport - looking quite nice in the revised Hevilift titles and livery. 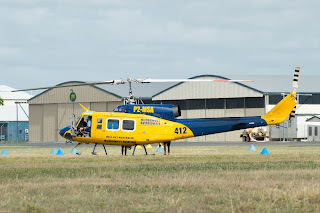 Also passing through Rockhampton Airport (again) was McDermott Aviation / Heli-Lift Australia Bell 214B-1 Big Lifter helicopter P2-MSA. 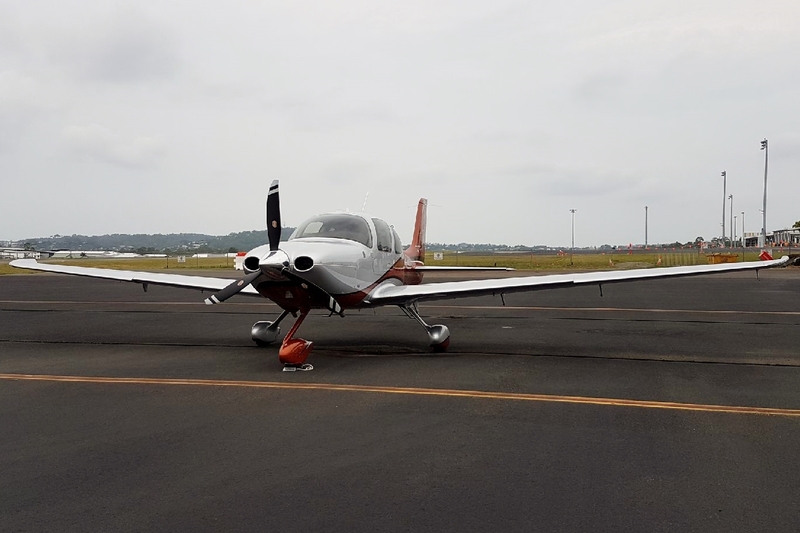 P2-MSA flew through Rockhampton Airport last weekend - as shown above - and it appears that today it was returning south to its Cooroy base on the Sunshine Coast after operating in Far North Queensland after supporting relief efforts following the landfall of Tropical Cyclone Nora. UPDATE! 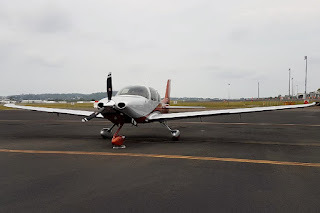 P2-MSA in fact overnighted at Rockhampton Airport and departed for Cooroy on Saturday 31 March. 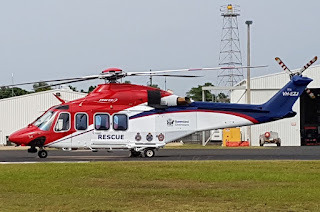 Also heading home to the Sunshine Coast, but on Thursday 29 March, was fellow McDermott Aviation / Heli-Lift Australia Eurocopter AS365N3 Dauphin 2 helicopter N82MD. It was noted at Gladstone Airport before continuing to Bundaberg where it looked to stay for the night. On Friday 30 March, it continued to the Sunny Coast. UPDATE! On Saturday 31 March, the third and final of McDermott's helicopters that assisted in Far North Queensland was noted to also return 'home' to the Sunshine Coast with Bell Textron Helicopter 214B-1 Big Lifter helicopter VH-SEK noted flying South via Mackay, Rockhampton and Gladstone Airports. Also passing through Gladstone Airport but early on Friday 30 March was recently re-registered Aerospatiale AS.350BA Squirrel helicopter VH-EGI. 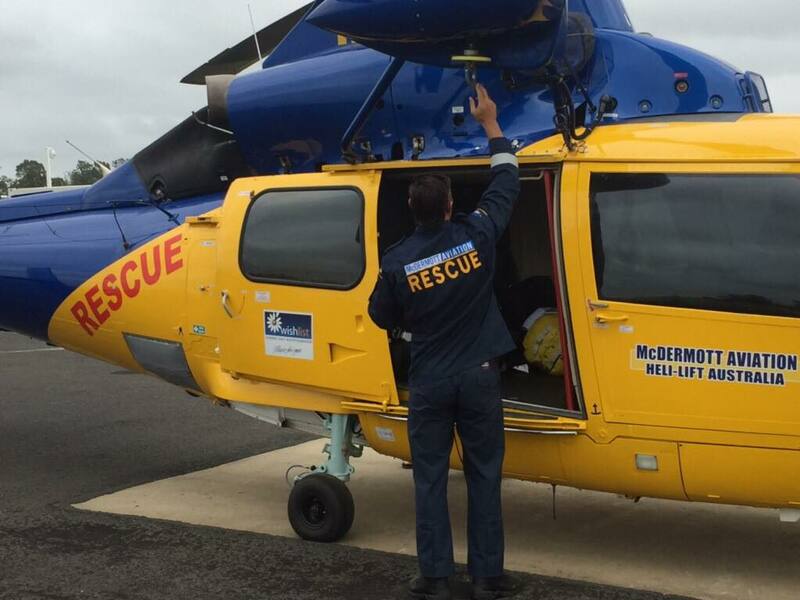 It was heard to depart to Townsville where it appears to have recently taken up residence with Koolardie Aviation. 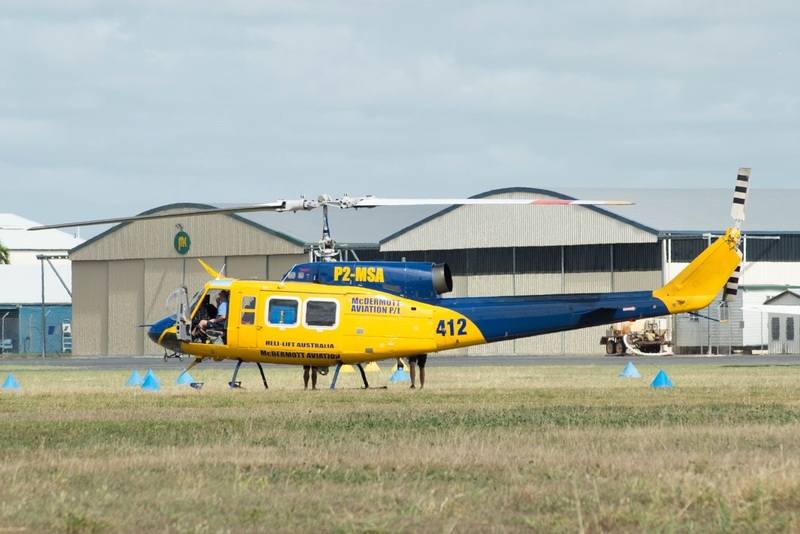 Finally, a rare military movement on Good Friday with Australian Army NH Industries MRH-90 Multi-Role Helicopter A40-030 “Rogue 33” passing through Rockhampton Airport. 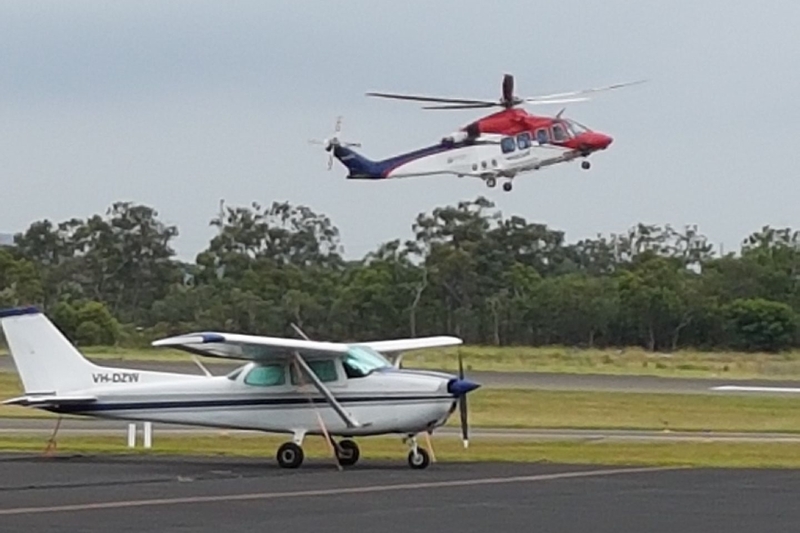 It looked to fly up from RAAF Base Amberley and completed airwork in the Shoalwater Bay Training Area (SWBTA) before landing at Rockhampton Airport for a short time. A40-030 eventually returned to Amberley. On Friday 30 March, Higher Cause LLC (USA) Dassault Falcon 2000EX bizjet N222JE was noted arriving into Hamilton Island Airport. It looked to touch down from Cairns where it had earlier arrived from Honiara in the Solomon Islands. At the time of writing, it appears to be staying for at least the night. Meanwhile, also parked at Hamilton Island Airport is the familiar sight of Homada Pty Ltd Cessna 560XL Citation XLS bizjet VH-XCU which arrived into Hamo on Thursday 29 March from Melbourne (Moorabbin) via Melbourne (Essendon). 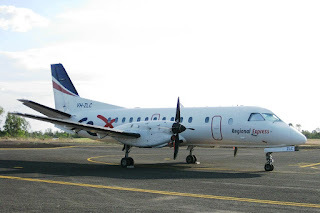 The semi-regular closed charter flights we see call into Rockhampton Airport from and back to the Cairns area have happened again this week with Regional Express (REX) SAAB 340B VH-ZLC noted arriving into Rockhampton Airport from Cairns as RXA9907 late on Tuesday 27 March. After staying for the night, VH-ZLC departed Rocky and returned to Cairns before continuing further to Horn Island as RXA9908 early on Wednesday 28 March. 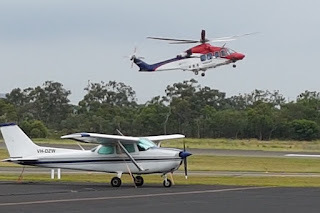 Meanwhile, it is worth noting that the other 'semi-regular' light General Aviation (GA) visitors to Rockhampton Airport that also visit around the same time as the REX SAABs were again noted at Rocky this week. 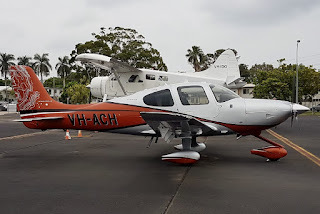 Townsville Airlines (Flightech Air Logistics) Cessna 402C VH-JOH and Beech B200 King Air VH-WZN were both noted completing afternoon flights from Normanton and Cairns respectively to Rockhampton Airport arriving late on Wednesday 28 March. After overnighting, both VH-WZN and VH-JOH also departed back to Cairns early on Thursday 29 March. 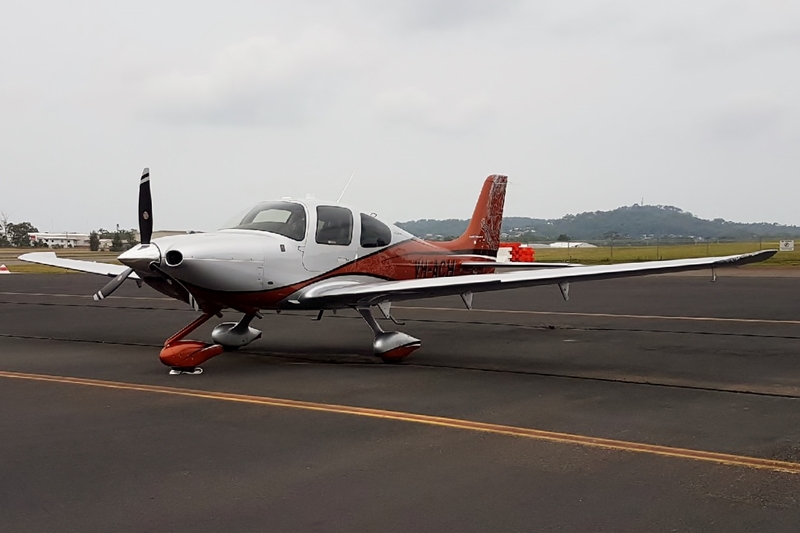 There are suggestions that these flights are charter flights for school children from Cairns and Far North Queensland who attend schools in Rockhampton. They would be returning home given that school holidays start today! Finally, a couple of other interesting light General Aviation (GA) aircraft to be noted visiting Rockhampton Airport this week have included McDermott Aviation Group / Machjet International Beech B200 King Air VH-MWZ which arrived from the Sunshine Coast and later departed to Townsville on Tuesday 27 March. 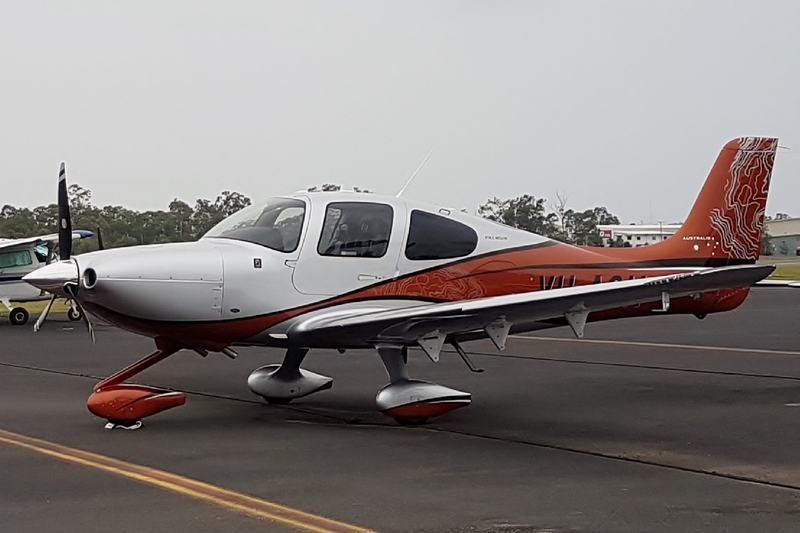 While on Wednesday 28 March, Proserpine-based Piper PA-34-200T Seneca VH-HKQ arrived into Rockhampton Airport from Mackay and later departed home to Proserpine (Whitsunday Coast) Airport. And Australasian Jet (Ausjet) Cessna 404 VH-AZU was noted arriving into Rocky from Melbourne (Essendon). UPDATE! 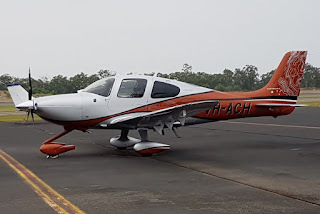 On Friday 30 March, VH-AZU returned to Essendon. It was noted completing aerial survey work around Blackwater and Middlemount on Thursday 29 March. A quick trip! American Registered Bombardier BD-700-1A10 Global 6000 Bizjet N60XC at Emerald Airport Once Again - Plus More! Visiting Emerald Airport once again on Wednesday 28 March was American registered Bombardier BD-700-1A10 Global 6000 bizjet N60XC. It was noted making a day-trip to Emerald Airport, arriving from and then later departing back to Brisbane. The sleek bizjet is becoming a semi-regular visitor to CQ having made several visits during different times over the last year or so, including at least three visits to Emerald and Mackay Airports so far in 2018. Meanwhile, a couple of other corporate bizjet and turboprop aircraft were noted visiting various CQ Airports also on Wednesday 28 March. LifeFlight (Aeromed) LearJet 45 bizjet VH-CXJ "Ambulance 452" was noted at Mackay Airport completing a medical evacuation flight. It arrived from Cairns and later departed to Brisbane. 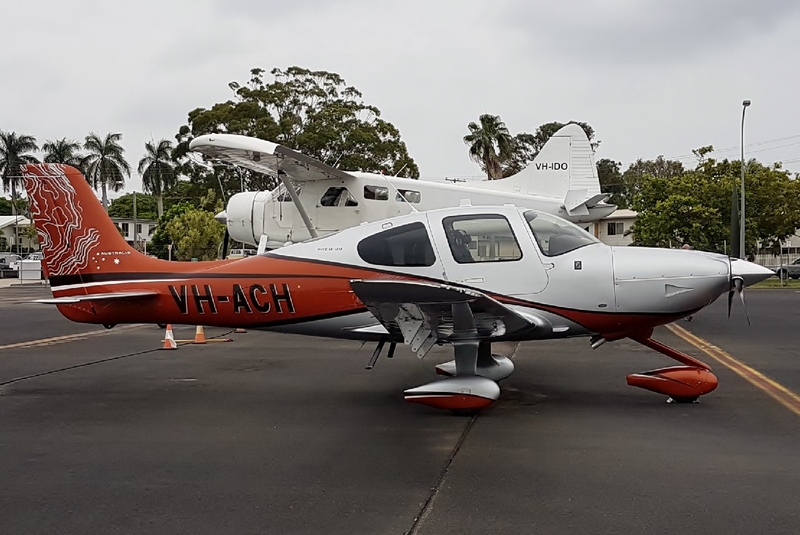 Of the corporate turboprop aircraft to visit Central Queensland on Wednesday 28 March, I spotted Brisbane-based Pesca Aviation AeroCommander 690-A Turbo Commander VH-ATF at Clermont Aerodrome. 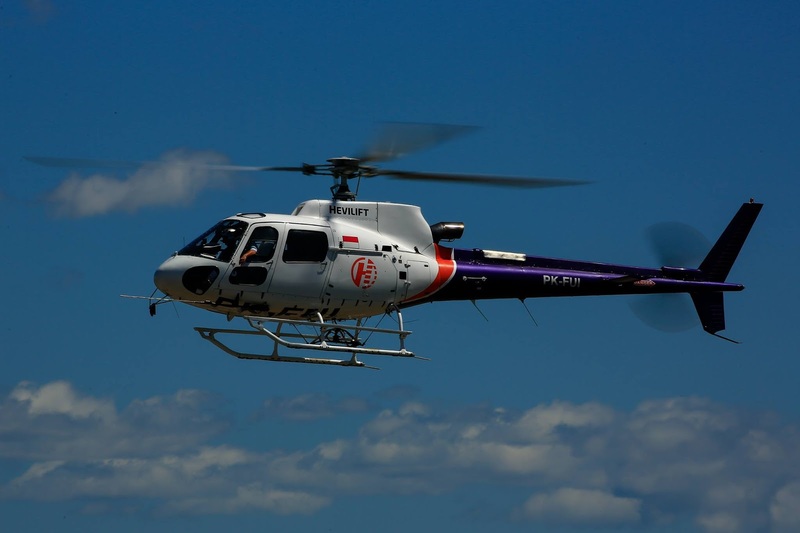 It had earlier arrived from Archerfield and Bundaberg and looked to continue to Mount Isa. UPDATE! 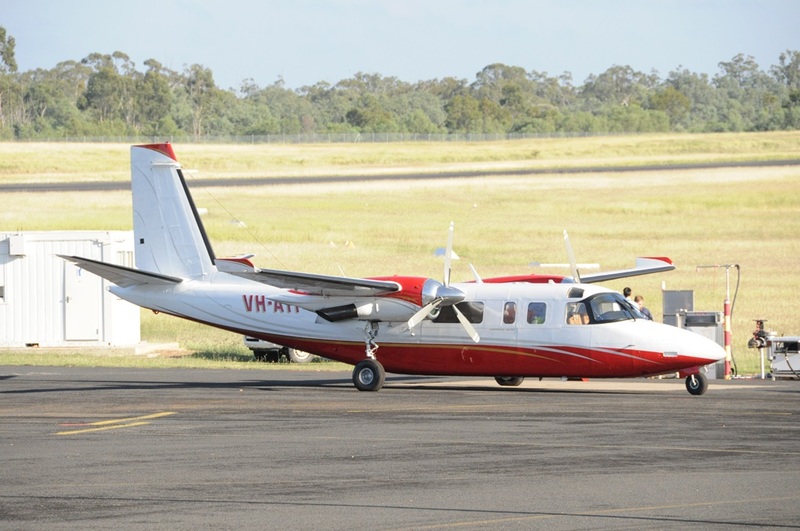 On Thursday 29 March, VH-ATF departed Mount Isa for Longreach Airport before returning to Archerfield. 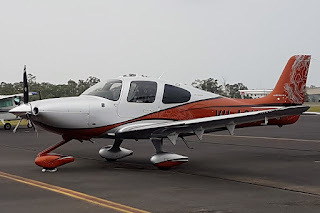 While also noted at Bundaberg Airport on Wednesday 28 March was Pegasus Air (South Australia) Pilatus PC-12/47E VH-JMU which arrived from and later departed back to Bankstown via Sydney and Archerfield, Victorian-registered Partenavia P.68B VH-PNU visited from Archerfield - where it seems to be presently based and Cirrus SR22 VH-VCD arrived from Kingaroy and later departed to Toowoomba. 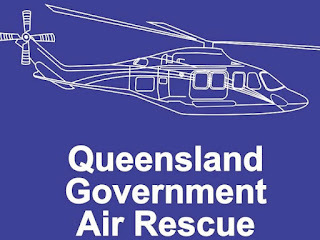 On Tuesday 27 March, Royal Australian Air Force (RAAF) Beech B350 Super King Air A32-426 "Dingo 36" was noted touching down at Rockhampton Airport from Townsville. After a short while on the ground, it departed to the Sunshine Coast. During the afternoon, A32-426 was then noted again flying into Rocky from the Sunny Coast before it then departed back to Townsville. Meanwhile, also on Tuesday 27 March, fellow RAAF Super King Air A32-671 "Dingo 33" was noted departing Emerald Airport also heading to Townsville. Finally, as the sun was setting on Tuesday 27 March, a pair of Australian Army NH Industries MRH-90 Multi-Role Helicopters were noted completing airwork around Hamilton Island and parts of the Whitsundays before flying to Townsville. It is believed they were A40-017 "Kraken 1" and A40-041 "Kraken 2". 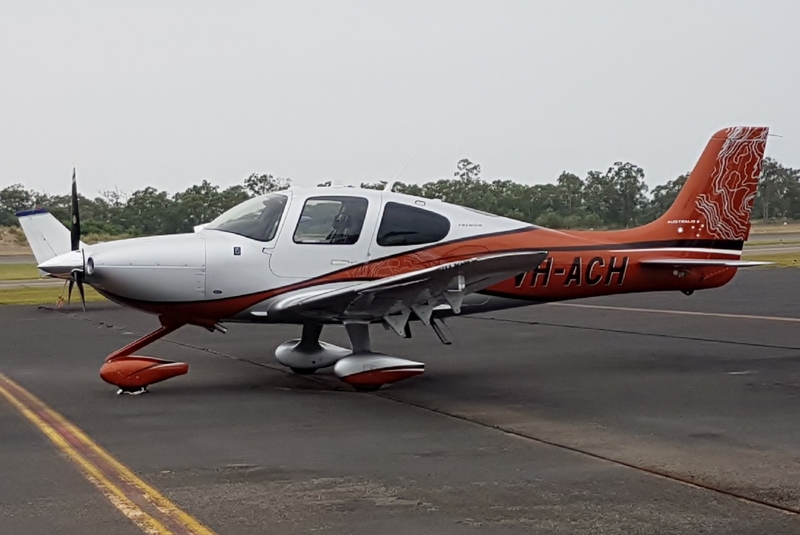 Also spotted at Gladstone Airport on Monday 26 March was this attractive Cirrus SR22 G6 Australis Premium VH-ACH. 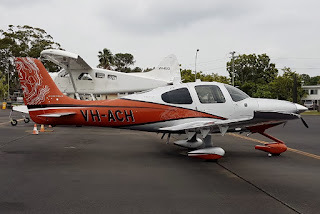 The smart little Cirrus has recently taken up residence on the Sunshine Coast and over recent days has been noted flying from there up to Gladstone Airport via airwork around various parts of the Fraser Coast including Maryborough and Bundaberg. On Monday 26 March, Queensland Government (QGAir) Rescue (State of Queensland) Agusta AW139 helicopter VH-EZJ was spotted ferrying North from Archerfield via Gladstone and Proserpine (Whitsunday Coast) Airports to Townsville. VH-EZJ was heard using the radio callsign of "Rescue 500" - the usual callsign of the Archerfield-based QGAir Rescue helicopter that flys missions around the South-East corner of the state. I presume it has ferried to Far North Queensland to provide support and to help with the rescue efforts that could be needed when Tropical Cyclone Nora makes landfall. 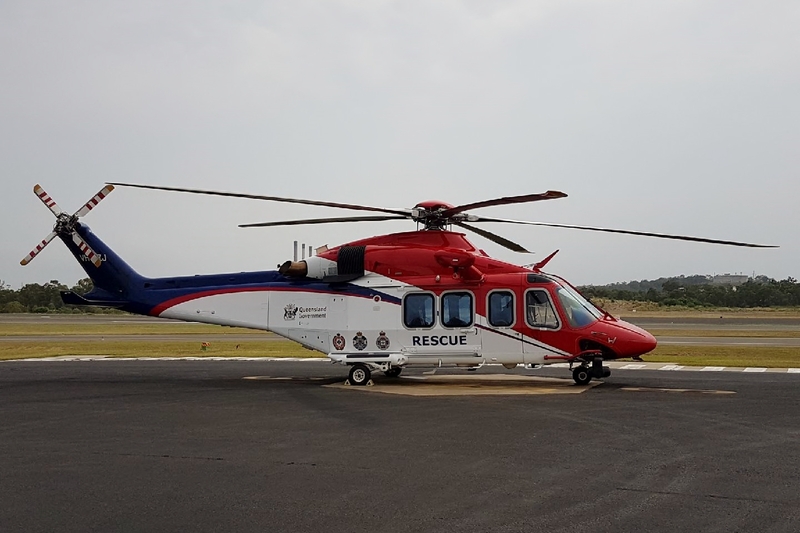 Currently, fellow QGAir Rescue Agusta AW139 helicopters VH-ESZ and VH-ESH remain based at Cairns and Townsville respectively, while QGAir Rescue Bell 412 helicopters VH-ESB and VH-ESD have also been noted operating around the Townsville and Cairns areas respectively over the last few days. A nice trio of McDermott Aviation / Heli-Lift Australia helicopters were also noted and spotted passing through Central Queensland Airports over the weekend while heading up to Far North Queensland to provide support and to help with the rescue efforts that could be needed when Tropical Cyclone Nora makes landfall. 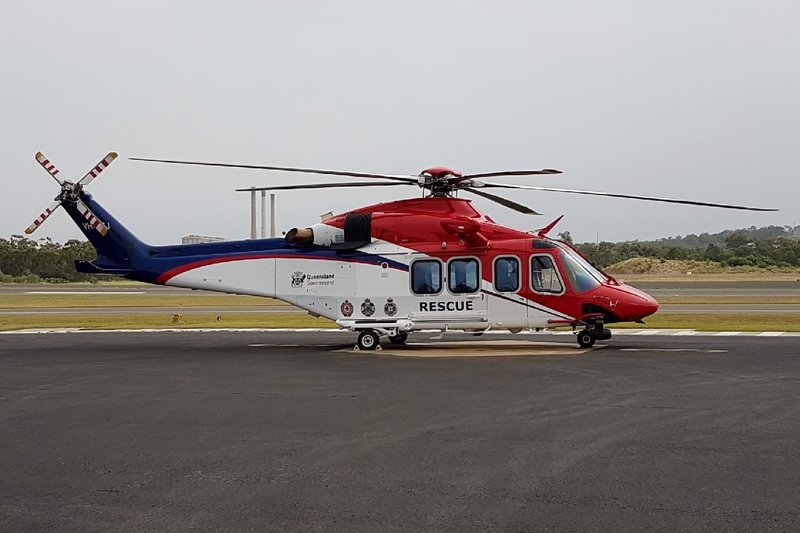 On Saturday 24 March, McDermott's newest Bell Textron Helicopter 214B-1 Big Lifter helicopter VH-SEK was noted flying North from their Sunshine Coast (Cooroy) base to Rockhampton and Mackay Airports. It was noted flying into Townsville and Cairns on Sunday 25 March. 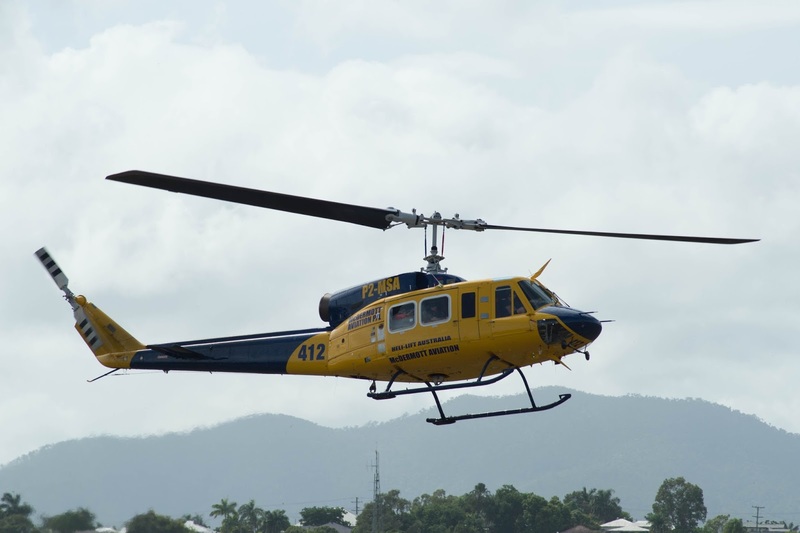 VH-SEK was joined at Cairns on Sunday 25 March by fellow Bell 214B-1 Big Lifter helicopter P2-MSA which was spotted departing Rockhampton Airport for Mackay and points North after it too had earlier arrived from Cooroy. Meanwhile, also on Sunday 25 March, I was lucky enough to capture some photos of McDermott Aviation / Heli-Lift Australia Eurocopter AS365N3 Dauphin 2 helicopter N82MD as it popped into my local airport at Clermont Aerodrome. It too was heading to Far North Queensland to provide support after TC Nora. N82MD looked to arrive directly from the Sunshine Coast and after taking on fuel, it departed to the North West. 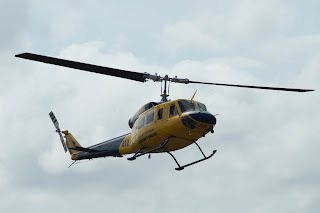 Certainly a great weekend of helicopter spotting!